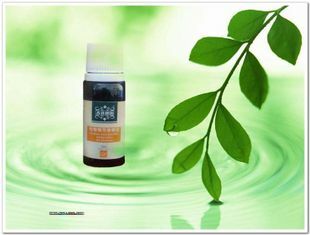 Tea tree oil, or melaleuca oil, is a pale yellow colour to nearly clear essential oil with a fresh camphoraceous odor. It is taken from the leaves of the Melaleuca alternifolia, which is native to the northeast coast of New South Wales, Australia. Tea tree oil should not be confused with tea oil, the sweet seasoning and cooking oil from pressed seeds of the tea plant Camellia sinensis (beverage tea), or the tea oil plant Camellia oleifera. Tea tree oil has beneficial medical properties when applied topically, including antiseptic, antibacterial, antifungal, and antiviral action, and is also believed to have beneficial cosmetic properties. Tea tree oil is usually used diluted, as reactions are common with pure tea tree oil, but it can also cause irritation for some people even when diluted. Tea tree oil is toxic when taken internally, and so should never be added to food or drinks.